Belonging to the Handycam line, the two new digital devices carry the HDR-PJ760V and HDR-PJ710V model numbers and support full HD recording. The built-in LED projector allows you to view the recorded information on any wall or other flat object that has a large homogeneous structure. The maximum image diagonal in this case is 100 inches, while the working resolution is 640 x 360 pixels. The Sony HDR-PJ760V arrives with 96 GB of internal storage, while the junior HDR-PJ710V model has just 32 GB but they both feature built-in MS and SD card slots for future expansion. There’s also the Exmor R CMOS sensor that allows recording in low light conditions with approximately two times greater sensitivity than conventional sensors. The two new camcorders also include the ClearVid filter for better recording and the BIONZ graphics processor in addition to the 1920 x 1080 Full HD resolution and the 24.1 MP sensitivity for taking pictures. Both models feature Carl Zeiss Vario-Sonnar T optics with 10x optical zoom, a GPS receiver with NAVTEQ maps, a high-quality 3-inch Xtra Fine display, a USB-connector and HDTV output. 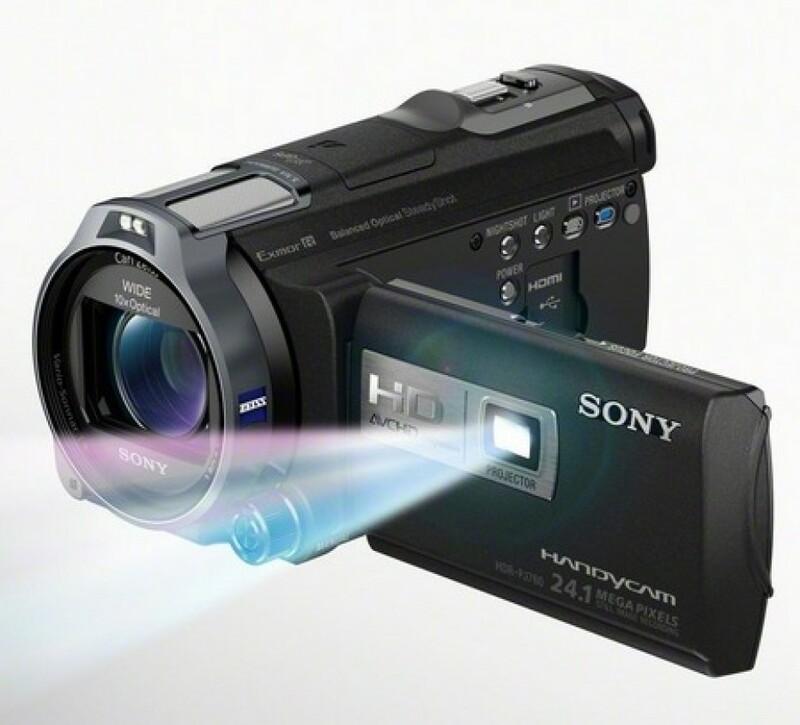 The new Sony Handycam HDR-PJ760V will retail for 1599 USD while the junior HDR-PJ710V model will cost 1299 USD.